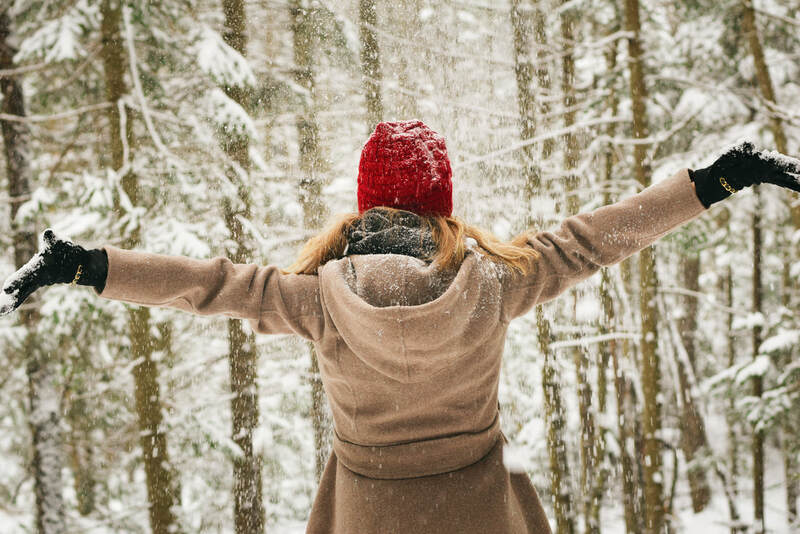 ​Gardens aren't just for the summer, but how can you make the most of your outdoor space this winter? While we tend to care for our gardens in spring and summer, when winter comes round our outdoor spaces tend to get ignored and neglected. However, you can make your garden beautiful and colourful in the winter too if you plant the correct foliage. Shrubs can make your patio more attractive, with Christmas Roses, Violas and Golden Glories being a perfect choice as they flower during the colder months. If you'd prefer a low maintenance garden, why not opt for different types of conifers in varying shades of green. This will help to give you greater privacy and will bring extra colour to your space. It is also a lot better than looking at bare branches when the leaves have fallen. Window boxes and colourful containers are also useful at this time of year. Even when the weather turns cold, you can still enjoy your garden if you invest in a brazier or firepit. There is nothing so lovely as wrapping up warmly and toasting marshmallows over the fire while enjoying a crisp and cold winter evening with friends. You can even install barbecue hut so that you can grill outdoors and enjoy the taste of flame grill all year round. Although they are quite expensive, they are a great investment if you regularly entertain. 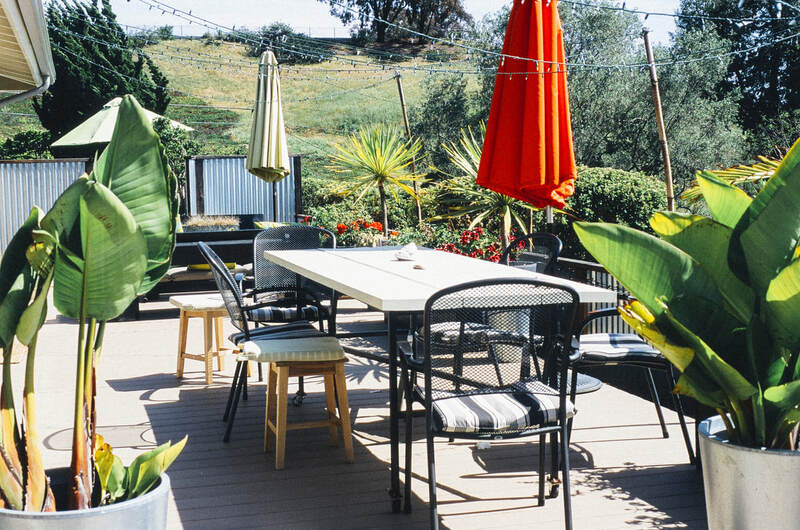 Patio heaters are another way of making your outdoor spaces winter-friendly. Available in both gas and electric versions, they are the perfect addition to your garden if you like to sit outdoors in all weathers. Hard wearing garden furniture, made from a strong and resilient material like rattan, will also ensure that you can entertain in the winter in your outdoor space. Rattan is low maintenance but still looks incredibly stylish and can be left in place on your patio all year round without the hassle of having to bring it indoors. Invest in an attractive sofa, chairs and matching coffee table for your patio. Even if you'd rather enjoy your garden from the comfort of indoors, you can still create a beautiful display to look at from your window. Hanging fairy lights in your trees and adding strategically placed solar lights around your garden will add visual appeal and make your garden a magical winter wonderland. Outdoor lighting isn't just for Christmas, and lanterns on your patio will look stylish and appropriate long after the festive season has passed. Whether you want to sit outdoors or inside and enjoy the winter view from your windows, attracting wildlife to your garden during the winter is a great way to get more from your outdoor space. Set up a bird feeder in a tree or install a bird table and you will be helping the hungry birds in the winter while giving yourself some excellent natural entertainment. Another interesting way of attracting wildlife is to create a log feature in a corner of your garden. Creatures like insects, toads and frogs will be drawn to the shelter the wood provides and you will be doing your bit for the environment. Although many of your flowers will die off during the colder weather, many vegetables thrive during this season and can be harvested at this time of year. Root vegetables like parsnips, and greens like winter cabbage and kale, can be harvested in winter, and raspberries, rhubarb and garlic can be planted in this season for next year's crop. If the weather is too cold for your plants to flourish outdoors, you can still enjoy the pleasure of growing your own flowers and vegetables if you invest in a greenhouse. These handy indoor spaces are well worth the money if you're a keen gardener as you can get outdoors and enjoy your hobby without catching a chill. Greenhouses are ideal for growing all kinds of plants, from tomatoes to roses, and you'll have the pleasure of beautiful colour all year round. This post was written by Rattan Direct, visit them for more gardening advice. Are Urban Gardens The Way Forward? Urban gardening is a trend that is taking off in a big way across our cities and towns – challenging the idea of what a garden can be. As more of us spend our lives in the city, urban gardens could be the way of the future. ​What Is An Urban Garden? Once upon a time, when people thought of a garden, they conjured up images of a private space on their doorstep, filled with beautiful furniture, bird tables, and flower-filled pots. These days, however, an urban garden is just as likely to be the reality. Increasing numbers of cities across the UK (and indeed around the world) are recognising that those who live in apartments or in homes without sufficient space for a garden would like access to an outdoor area too for growing plants and vegetables and in which to enjoy warm days. As more and more people across the globe are living in cities rather than in rural environments, the trend for urban gardening is increasing exponentially. From tiny backyard gardening plots to window boxes and even community spaces, urban gardens are on the rise in today's modern society. With gardening starting to take place on rooftops and even in indoor hanging gardens, our cities' populations are becoming more creative than ever before. How Does Urban Gardening Work? Urban gardening takes a variety of forms depending on the place, the person, and the size of the space that they have available. 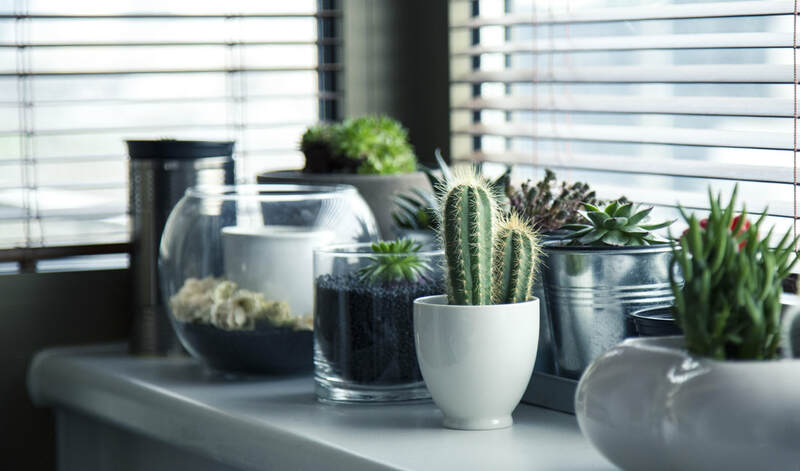 Those that have only a windowsill as their only access to the great outdoors may choose to have a window box or pots in which they can grow small plants or herbs. Those who have a small patio or balcony can use that space to grow a surprising range of plants, and can even maximise the mount of room for growing by using hanging baskets or vertical planters on the wall. Rooftop gardens are also becoming very popular, especially in modern apartment developments, as architects have realised that families would prefer to have some outdoor space to enjoy the summer weather and to appreciate the beauty of nature on their doorstep. Urban gardens definitely look set to be the way of the future as more of us find ourselves in smaller properties with limited outdoor space. If you are keen to start your own urban garden, here are some tips for getting started. Why not consider growing herbs or vegetables in a container. Even if you have a very small balcony, patio or front yard, a couple of planters represent an ideal way to grow food of your own. If you only have an indoor space, you don't need to give up on your dream of gardening. Plants can grow even in a small apartment as all this is required is light, water and the correct choice of plants. Bathrooms are a great place to grow orchids, for example, thanks to the humid environment. Rooftop gardens allow a perfect escape from the hustle and bustle of the city. Offering a perfect panoramic view over your surroundings, they are a wonderful spot in the full sunlight to relax on summer days. With enough room, you can even add a small patio set or space-saving rattan sofa for a pleasant seating area. If you're lucky enough to have even a small front yard, you can still pack it with colourful plants. All that is required is a small area of soil, or even enough space to fit in a couple of planters, and the front of your home can be converted into a beautiful eye-catching display. Another option for an urban garden is in a front porch space. With plenty of light from the glass windows, you can grow a wide range of flowers or plants in this small area, and it will create an attractive visual display that will boost the curb appeal of your property. Although urban gardens are, by their nature, small, they can be perfectly formed and represent the perfect way to bring more light and colour into the city landscape. By creating your own miniature urban garden, you will be able to enjoy the pleasures of gardening while improving the appearance of your local area. This post was written by Rattan Direct, visit them for more urban gardening tips and gardening furniture. Whatever kind of garden furniture you have, whether it be made of metal, wood or rattan, adding some colour and flair is an ideal way to express your personality and liven up your garden this Home Improvement Month. If you are lucky enough to have an outdoor space of your own, it's a great opportunity to express your own personality and character. In just the same way as decorating your home to suit your own taste, you can decorate your garden to match your own unique, ensuring that your home is truly your own, both indoors and out. Here we look at 5 ways of adding personality to your garden furniture to make your outdoor space beautiful and full of character. One of the best ways to bring extra style and colour to your outdoor space is to add colourful cushions for a splash of vibrancy in your garden. A pop of vivid green, tropical yellow or hot pink is a wonderful way to bring additional life and drama for a summer time feel all year round, and there is no better way to liven up your rattan sofa set. Remember when choosing cushions that they should be weatherproof just in case they get left out in the rain overnight. If you leave ordinary indoor textiles outdoors, they will quickly spoil and degrade in the outdoor environment. Add a touch of your own personality to wooden garden benches or decorative pots by giving it a lick of paint. Choose either a single colour in a shade of your choice, or alternatively, try something a little more unusual such as a patterned design. 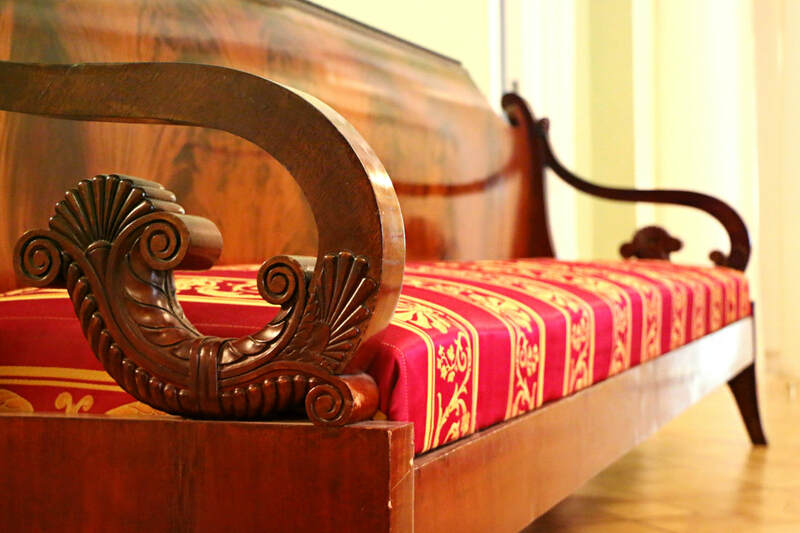 Wooden benches lend themselves well to multi-coloured stripes and look beautiful in either vibrant or pastel shades. Colourful decorative tiles not only look wonderful indoors, they can look fantastic in your garden too. Adding some colourful tiles to the surface of your patio table will bring extra life to your space, and give your outdoor areas a continental feel. Opt for Mediterranean-style terracotta or Greek-style blues and whites, or even go for a Victorian look with black and white squares. It's the ideal way to create an eye-catching feature. If you already have a stylish rattan sofa in your garden, but want to add something more for extra personality, why not pair your existing furniture with an unusual item for additional character. Choosing a piece which already has a personality of its own is an easy way to bring style and flair to your outdoor space, so visit flea markets and car boot sales to see what treasures you can find. While we've already suggested adding some colourful weatherproof cushions to your rattan sofas to bring extra life to your garden, why not go the whole hog and create even more character by adding even more weather-resistant textiles to your outdoor space. Bean bags designed specifically for outdoor use are a great colourful addition to your patio, and provide a wonderfully relaxing spot to rest during the warmer months to enjoy a drink and to read a book or magazine. Weather-proof floor cushions are also perfect for casual outdoor spaces, and are ideal for families with children who like to play outdoors on a soft surface on summer days. A colourful outdoor rug is another fantastic way to brighten up your patio or terrace. A patterned rug will create the impression of a beautiful outdoor room, and will liven up paving or decking exponentially. You can complement an existing colour scheme, or introduce a new splash of vibrancy with this unusual way of defining your garden space. There are many ways of adding flair and personality to your garden furniture, and with the right touches, your outdoor space can be a haven of character and beauty that perfectly expresses your personality and unique sense of style. Rattan Direct wrote this post for Home Improvement Month, visit them for more improvement tips, as well as great furniture to help you liven up your home or garden.